US Life Safety is proud to announce that the Western Pennsylvania Region of the American Red Cross has accepted our offer to implement the Life-Counts® information sharing network throughout their 25-county region and 18 facilities. Regional Director, Victor Roosen wrote "The Life-Counts® system will allow the Red Cross to share information with our staff and employees, track and maintain vendors and provide safety information as it is related to our facilities and COOP plans. The Life-Counts® system will help in the Red Cross goal of organizational and community reliance." What will be an extra benefit to the Red Cross is that each school within the Life-Counts® network will be able to share their information with the Red Cross for pre-planning disaster response. 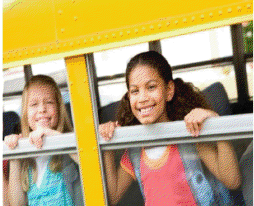 School Emergency Preparedness Summary - It is no secret that even though we began our focus in school preparedness as early as 2005, for the past year and a half, US Life Safety has been making greater strides in improving emergency preparedness in schools. We have been so proactive in our efforts that in addition to our other emergency preparedness services, we added a new web site Your Life-Counts® devoted specifically to our Life-Counts® services. We are proud that our unique web-based service has now been implemented in eight school districts throughout Washington County, Pennsylvania and expect it to continue expanding and even faster in the years to come. Our school district clients clearly understand backup planning and also wish to improve their emergency preparedness and security in accordance to PA Code Cite: 22 Pa Chapter §10.8 Safe Schools which went into effect in July of this year. They especially appreciate being able to strengthen their employee readiness by improving their response knowledge. Using the Life-Counts® on-line training and automatic evaluation features they can specifically target their own school's emergency plan and procedures. 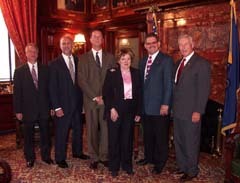 With Pennsylvania State Senator Tim Solobay, the Borough of Canonsburg, North Strabane and Cecil Townships leading the way Life-Counts® is now connected to over thirty local police and fire departments. Each department likes the fact that they can access essential up-to-date emergency information for any school in their jurisdiction before or during an incident. We always stress the importance of redundancy emergency planning and have stressed its importance in our Youtube video CODE RED: Intruders!. We wish to thank the police and fire departments from Canonsburg and North Strabane as well as the Washington County S.W.A.T. for their expert help in this production. We are proud to announce the addition of another Lincoln Property Company residence River Vue Apartments to our growing Life-Counts® network in Pittsburgh. River Vue, located at 300 Liberty Avenue and owned by and managed by Lincoln Eastern Management Corporation, a division of Lincoln Property Company. The River Vue, a newly renovated 16-story apartment building with 218 unit luxury apartments boasts one of the best vantage points of Point State Park in the city. Lincoln's Regional Property Manager Tracey Jones stated, "US Life Safety was again selected to do our Pittsburgh All Hazard Plan because of their long-time experience with commercial building emergency preparedness and all hazard plan writing experience. They handled our Encore of 7th Avenue property and we are confident they'll lower our risk factor by taking care of our emergency preparedness needs here as well." Lincoln Eastern Management will be using US Life Safety's Life-Counts® management system to train their emergency team members in both buildings as required by the new Pittsburgh All Hazard Plan version 2.0. After the Canon-McMillan School District joined the Life-Counts® network last fall, many other Washington County districts followed suit. As a matter of fact, over half the county schools are now connected to the network; Avella Area School District, Bentworth School District, California Area School District, Canon-McMillan School District, Charleroi School District, Chartiers-Houston School District, McGuffey School District and Trinity Area School District. All districts will soon be ready for the recent finalization of Safe School Chapter 10.8 requirements. "Life-Counts® provide us with a centralized location for our emergency plans and supporting resources. All of our staff can easily access, review, and print. In my role as the district Safety Coordinator, I can monitor the annual updating of plans through the Life-Counts® system. In the past all schools were required to send me their plans and I would facilitate the distribution to district administration. I am excited with the options still untapped within the system. Such as; having our local emergency responders trained and able to access our emergency plans, building level drills being recorded and stored in Life-Counts®, and the accountability safety survey we created." Canon McMillan School District Board of School Directors, with support from all emergency services from Canonsburg Borough, North Strabane Township and Cecil Township, accepted an offer from US Life Safety for a complimentary Life- Counts® system for the entire school district. Local emergency services look forward to having immediate and secure online access to critical information currently only available in hardcopy format. Some of that critical information includes: building level contact information, floor plans and evacuation routes/procedures, location of AED units, and information specific to those who may require special assistance. The unique Life-Counts® system, which has also been implemented in ten FEMA facilities in Washington DC, Virginia and Maryland, will allow local emergency agencies to receive immediate emergency-related updates that are made available by the district's safety committee or any of the eleven school's Life-Counts administrators. The Life-Counts® gift to the community by US Life Safety was triggered by some school incidents in the western Pennsylvania region since January of this year. Voicing their concerns for their own children's safety both Steve and Bonnie Burchesky, owners of US Life Safety, told the school board "We want to make a difference to better protect all children as well as our community." Michael Daniels, Canon-McMillan's Substitute Superintendent said, "We are impressed with the online features of this program. Although our school district has shared in a longstanding collaboration with the local emergency response agencies from each of our three municipalities, we anticipate enhanced communication and increased efficiency with information-sharing in those critical moments of need. My initial impression is that it appears any school district may benefit from participation in this program." the Life-Counts® system since 2003, said "When an emergency occurs one of the most important items we need is good information especially on the life threats that are present. Compound that when it is a school situation and the excitement factor can go through the roof. Life-Counts® brings workable, reliable information and assistance in any emergency situation." Life-Counts® has been in place with the Canonsburg General Hospital for nearly four years. US Life Safety plans to expand the Life-Counts® network to any Washington County school district that is interested in improving emergency preparedness in cooperation with their local professional First Responders. US Life Safety, Inc., has received a option year 1 contract extension for their company’s unique emergency preparedness management system, Life-Counts®. Plans include increasing program functionality to better measure preparedness as well as expanding to additional facilities within the FEMA Region III network. www.Ready.gov GET A KIT! The Federal Emergency Management Agency encourages business communities and families alike to be better prepared. "You may need to survive on your own after an emergency. This means having your own food, water, and other supplies in sufficient quantity to last for at least three days. Local officials and relief workers will be on the scene after a disaster, but they cannot reach everyone immediately. You could get help in hours, or it might take days. In addition, basic services such as electricity, gas, water, sewage treatment, and telephones may be cut off for days, or even a week or longer." US Life Safety, Inc., is proud to announce that is has recently received a contract award for their company's unique emergency preparedness management system, Life-Counts®. 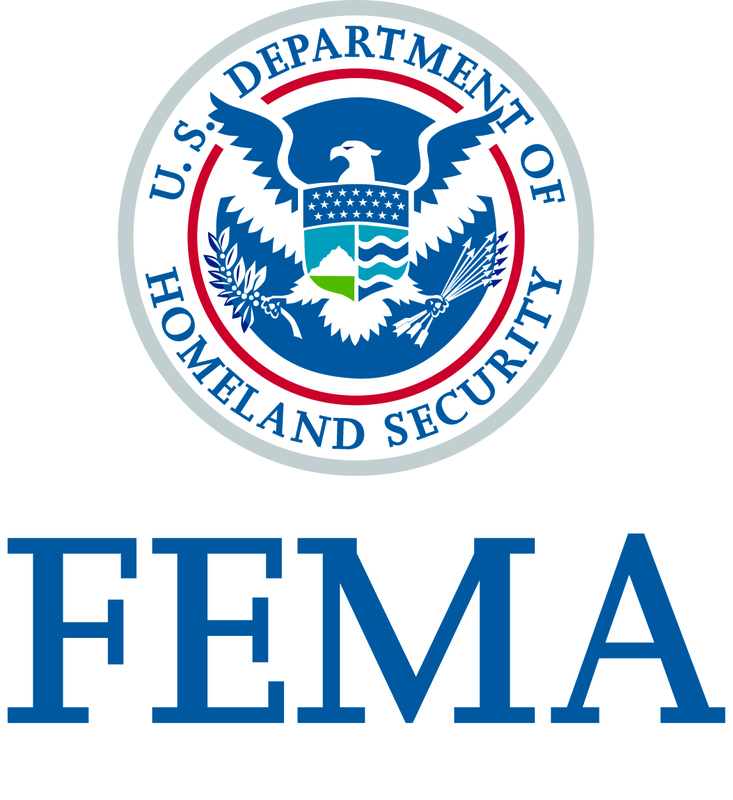 The Department of Homeland Security/Federal Emergency Management Agency has selected US Life Safety, Inc. to provide an emergency management on-line service for multiple FEMA facilities within the [NCR] National Capitol Region, Maryland, and Virginia for hosting and editing emergency plans, user testing, plan evaluation and sharing of critical facility information. Unrelated to this contract award, US Life Safety, Inc. would like to point out that two North American corporation headquarters with a strong interest in emergency management and preparedness already subscribe to the Life-Counts® service; those being Parsons of Pasadena, CA, and GlaxoSmithKline in Pittsburgh. Other Life-Counts® subscribers include Pittsburgh's Lincoln Properties' 18-story condominium Encore on Seventh and locally, the Canonsburg General Hospital. Steve Burchesky, C.E.O. and V.P. of Operations has been involved in emergency preparedness for building occupants since 1980. Burchesky looks forward to a greater interest in their unique approach to emergency preparedness in all levels of government, health care, schools as well as the private sector. US Life Safety, Inc. is proud to announce its newest client, and subscriber to Life-Counts®, Parsons Corporation of Pasadena, California. Parsons provides premier technical, engineering, construction, and management support throughout the world to federal, regional, and local government agencies as well as private industries. With 12,000 employees worldwide, Parsons delivers "innovative and exciting" solutions to stay ahead of the competition by conquering the toughest logistical challenges and delivering landmark design-build projects across the globe. The US Occupational Safety and Health Administration (OSHA) recently welcomed Parsons into its Voluntary Protection Programs (VPP) Corporate Pilot-Parsons is the seventh corporation in the United States to be accepted for this prestigious program. Criteria for VPP Corporate status include a substantial commitment to VPP at the corporate level and a comprehensive, organization-wide safety and health management system. According to OSHA, Parsons implements a strong safety and health philosophy throughout the organization. US Life Safety plans to provide Parsons with that same commitment; as well as an "innovative and exciting" emergency preparedness management service that will be the model program for the corporation and the local community. We will start with the Pasadena office, with a goal to add 2 to 3 additional offices by the end of the year. The Life-Counts database service allows Parsons management to quickly and easily distribute crisis, emergency, and/or contingency plans to every facility. "This unique ability to support our employees sends a strong message of commitment to a safe and healthful workplace," said Andy Peters, Parsons Vice President. understand key procedure elements, automatically evaluate our plan, track emergencies supplies in all locations and allow local emergency services access to the critical information they need to know". Collectively, the three locations provide accommodations for over 500 guests covering a total area of 22 square acres with over 135 qualified staff members. procedures, or training at our locations, we have upgraded the life safety videos to be concurrent with our practices. Steve Burchesky and his crew at US Life Safety have been a pleasure to work with and our employees and tenants who volunteer to be in the life safety videos really enjoy the experience and gain even more insight into their roles and responsibilities during emergency situations." The video/DVD, which is shown to an estimated 4500 employees at both locations was later revised in 2003 with a new one added at Highmark’s locatio at Penn Avenue Place. In December 2008, the Fifth Avenue Place production was revised again due to a new sophisticated alarm system recently upgraded in the building. In addition, Highmark has contracted with US Life Safety to produce a similar video/DVD for their Camp Hill, PA campus. The Encore on 7th, is a new, 151 apartment Hi-Rise Residence located in downtown Pittsburgh. 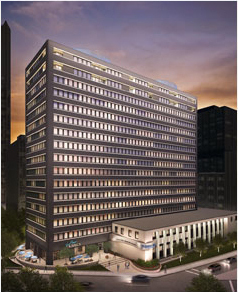 The stunningly elegant, 18-story structure is managed by Lincoln Eastern Management Corporation, a division of Lincoln Property Company. Classified as a "Hi-Rise Residence", management found it important to be in compliance with Pittsburgh’s All Hazard Plan. It selected US Life Safety as their emergency preparedness consulting firm. Lincoln Eastern Management Corporation also opted to implement US Life Safety’s web-based Life-Counts® service. The Encore’s on-site manager, remarked that "US Life Safety was chosen because of their long-time experience in emergency preparedness. This company has one-on-one experience with Pittsburgh’s EMA, has written a comprehensive occupant evacuation plan (OEP) approved by Pittsburgh EMA and has had their roots in emergency planning for commercial buildings since the late seventies! They just didn’t arrive on the scene after 9-11!" The Encore plans to use Life-Counts® to educate their residents and to use its’ unique automatic evaluation feature to ascertain weaknesses in their emergency plans. We are pleased to announce that Canonsburg General Hospital, a member of the Allegheny Health System of Canonsburg, PA has come on board with Life-Counts®. Designed for their over 520 hospital staff members and three area fire departments to quickly access and review floor plans, emergency plans and chain-of-command, the Canonsburg General Hospital will use the online testing and evaluation feature for optimum performance in making sure all staff members understand plan procedures. The auto-evaluate feature will help in locating weak parts of the plan so improvements can be quickly made. An emergency preparedness management choice - well made! 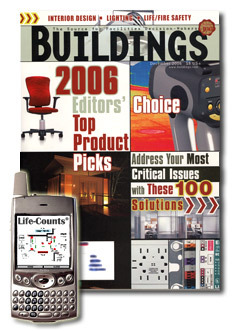 March 2007 - US Life Safety was recently awarded Buildings magazine’s prestigious ’2006 Editor’s Choice Top Products Picks’ for it’s unique web-based emergency management service Life-Counts®. Out of 100 finalists, Life-Counts® was the only product/service in the ’Emergency Response’ category. Life-Counts® was created and designed by US Life Safety’s president Steve Burchesky and the programming talents of his Senior IT Director, Mr. Guangming Cui. Life-Counts® can be used by municipalities, school districts, colleges, hotels, condos, mixed use and commercial buildings to securely distribute building floor plans, update and distribute chain-of-command and emergency or safety plans to occupants in one or multiple buildings. Life-Counts® allows testing and verifications of users, evaluates the plan for weaknesses and connects with local emergency services. We are pleased to announce yet another Pittsburgh company has discovered what Life-Counts® can do for them; Lanxess Incorporated. Headquartered in Germany, Lanxess is well known as an international leader as a supplier of chemicals with operations in 18 countries world-wide. LANXESS operations have a long history, rich with a tradition of research and discovery. The company’s roots go back to 1863, the year Bayer was founded. In 2004, during its reorganization, Bayer AG combined most of its chemical activities and approximately one-third of its polymer activities into a new company: LANXESS Deutschland GmbH. With over 9.3 billion (US) in sales in 2005, Lanxess has over 18,282 employees at 50 international production sites and offices in all major regions to ensure their business partners the best possible service on the world’s markets. Lanxess commitment to safety in chemical handling is apparent in their decision to implement US Life Safety’s Life-Counts® at their United States head office in Pittsburgh. October 24, 2006  Pittsburgh, PA  The Electrical division of Eaton, Inc. located in Moon, PA, has chosen Life-Counts® to assist in corporate safety compliance. Eaton Corporation is a diversified industrial manufacturer with 2005 sales of $11.1 billion. Eaton is a global leader in electrical systems and components for power quality, distribution and control; fluid power systems and services for industrial, mobile and aircraft equipment; intelligent truck drivetrain systems for safety and fuel economy; and automotive engine air management systems, powertrain solutions and specialty controls for performance, fuel economy and safety. Eaton has 59,000 employees and sells products to customers in more than 125 countries. Mr. Todd Pfeifer, CFM who made the decision to implement Life-Counts® remarked "We look forward to being able to meet the dozens of safety requirements that corporate asks of us. In addition, we’ll feel good knowing and that our employees will have a secure exposure of our site plan and that our plans and floor plans will be accessible from local fire stations." US Life Safety is proud to announce its latest client: the Great Wolf Lodge, Sandusky, Ohio. The Sundusky Lodge is one of seven Great Wolf Lodges including lodges in Wisconsin, Kansas, Niagara Falls, Canada, Virginia and the Pocono Mountains with other lodges under construction in Minnesota, Texas and Ohio. General Manager Derrek Kinzel is excited about having Life-Counts® "We look forward to getting our staff members on board right away and having the accountability that they all have read their emergency plans and understand them!" Great Wolf Lodge is a first-class, full-service, year-round family destination four-story resort with 271 family-sized suites; a 42,000 square-foot indoor entertainment area, featuring a grand-scale waterpark, two 150-seat casual, themed family restaurants; a huge arcade with ticket redemption center; meeting space; a fitness center and a gift emporium. 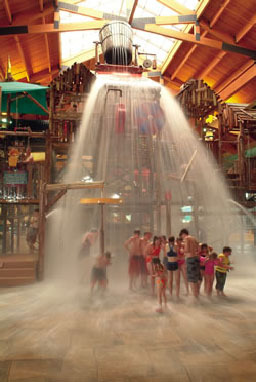 For more information Great Wolf Lodge. For more info contact US Life Safety, Inc.
Harrisburg, PA - The Capital Area Intermediate Unit (CAIU) has just signed an agreement to implement US Life Safetys Emergency Management program Life-Counts®. The 12-month trial for eleven schools was given the approval by Executive Director Dr. Glenn W. Zehner, who oversees 24 districts in the four-county IU15 Capital Area. "e;I chose to use US Life Safety’s Life-Counts® because it will place our emergency plans on the web so that they are safe, secure and accessible to those who need to know and use them, and the system will allow us to update the plans, track staff training levels, and communicate information in a timely manner"e;. Life-Counts® will be serving as a platform for the eleven schools to map critical emergency plans, floor plans, chain-of-command, and inventory of resources to better facilitate the schools with their preparedness effort for NIMS and NIMS Compliance for School Districts. is dedicated to helping superintendents and presidents of schools, school districts, colleges, and owners and managers of high-rise and commercial buildings better protect the lives of building occupants by providing the best emergency and safety management and A/V tools available so all involved may be better prepared for any emergency. These tools include US Life Safety’s own "Life-Counts®" which is a secure web-based emergency management tool that allows general workplace safety plans, emergency preparedness plans, streaming video, or disaster recovery or contingency plans to be posted and tested by all users. Other training tools include custom videos, DVD’s, and building or occupant emergency plans. Among our clients are: GlaxoSmithKline and Highmark Blue Cross - Blue Shield. GlaxoSmithKline Activates US Life Safety’s "Life-Counts®"
Pittsburgh - June 2004 - The brass bands were not there...but they should have been as GSK’s Consumer Healthcare division executed their first full building fire drill since the implementation of US Life Safety’s "Life-Counts®". To the delight of management and local fire officials who oversaw the event, over 530 company associates cleared the building and rendezvoused to their respective rally points in less than three minutes. Steve Burchesky, president and designer of "Life-Counts®", couldn’t have been happier. "I feel the success of the drill was attributed in great part to the recently activated Life-Counts®." Facility Manager Tom Ritchie was also impressed. "In less than ten short days following the activation of US Life Safety’s Life-Counts®, the entire building had their emergency plans and floor plans available, and knew where their rally points were located." 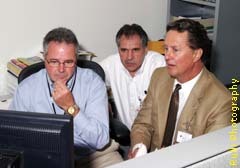 With over 25 years in the facility management field Ritchie marveled at the fact that he had never seen such a well-designed emergency management program. Operations Supervisor Ken Wagner is pleased that the average test-scores of GSK associates understanding the "Life-Counts®" plan now exceeds 99%. 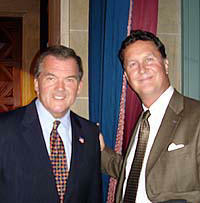 Harrisburg, The Pennsylvania Capitol, October 14, 2003 - US Life Safety’s president, Steve Burchesky, presented the company’s new "Life-Counts®" emergency preparedness compliance tracking program which is intended for all state owned buildings. It was warmly received with great interest and enthusiasm. From left; Director Philip Fredericek (Security and Safety/House of Representatives), Jim DiBasilio (US Life Safety), Steve Burchesky, Lt. Governor Catherine Baker Knoll, State Rep. Tim Solobay, and Director Keith Martin, Office of Homeland Security/Office of the Governor.